FEMAP International Gala – An entertaining atmosphere with supportive community members from both sides of the border made the 10th Annual Friends of FEMAP International Gala a fun night for a good cause. TTUHSC El Paso and others sponsored 106 tables to raise funds to improve the health and quality of life for those living in poverty in our region. 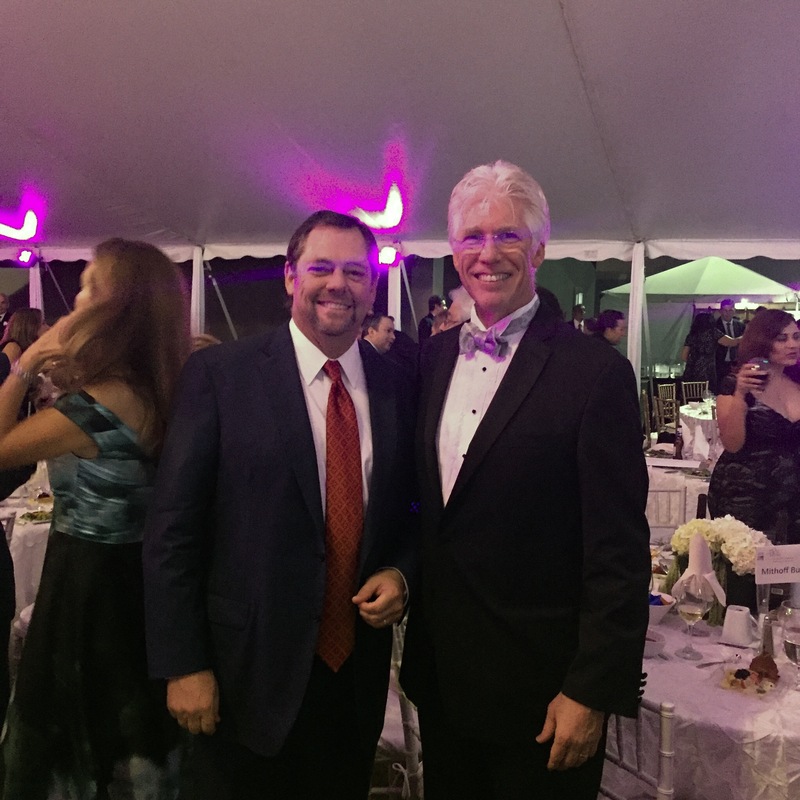 In partnership with the Paso del Norte Foundation’s Challenge Fund, the monies raised during the gala will go to a number of initiatives, including School of Nursing scholarships for students in Juárez and a mobile medical unit for the marginalized areas of our sister city. 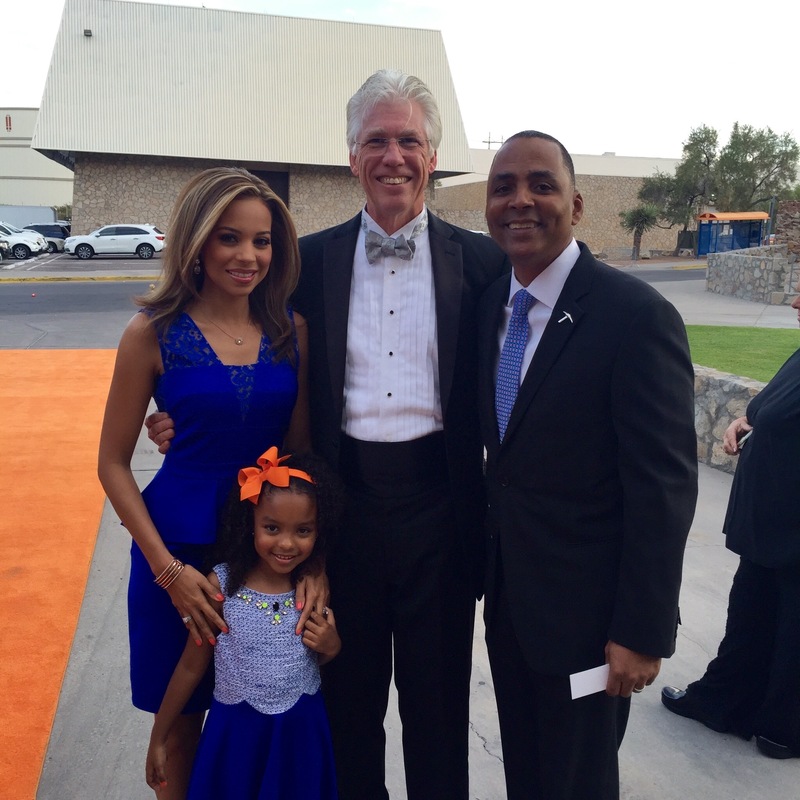 Distinguished Alumni Dinner – Another spirited event attended honored several UTEP alumni. One of the Distinguished Alumni Award recipients was Renard Johnson, CEO of Management and Engineering Technologies International, Inc. (METI). His multinational organization is focused on research and development, systems engineering, and information technology. Renard has been a tremendous partner for TTUHSC El Paso and we want to congratulate him on this award. 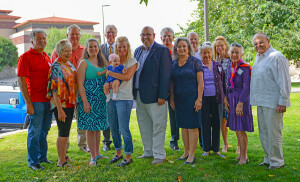 Tyler Francis Recognition – It was an emotional morning on the Cotton Memorial lawn of the UTEP campus as Texas Tech University System Regent L. Fredrick “Rick” Francis’ son was posthumously recognized for his excellence to the community. Francis Aviation President Lawrence Tyler Francis received the Hicks Middagh Outstanding Alumni Award, which is the highest honor the UTEP Department of Communication can bestow on one of its alumni. Richard Pineda, Ph.D., interim chair of the department and Tyler’s former professor explained that it’s the department’s belief that its graduates are among the strongest in the university, successful in their academic pursuits, as well as in their professional and community endeavors. These attributes personified Tyler and his enthusiasm for the future of our community. Celebrate Homecoming in Neon – Our campus and the surrounding neighborhoods will be “glowing” in Texas Tech Homecoming spirit, neon lights, music and fun tomorrow, Saturday, Oct. 10. I would like to encourage all of you to participate in our Homecoming celebration as well as the Groove and Glow 5k run/walk. The family-friendly, public festivities begin at 6 pm. 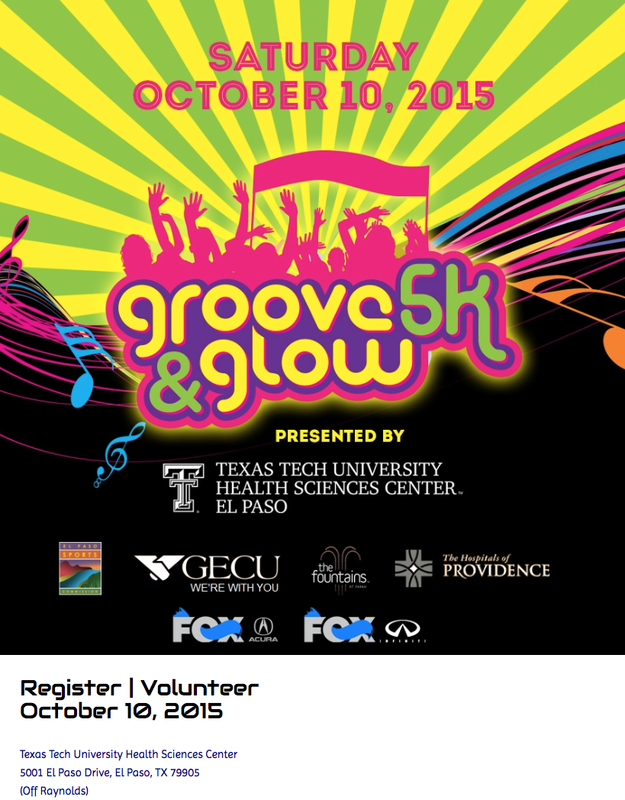 Homecoming is free, and you still have time to register for the Groove and Glow 5k at grooveandglow.com. 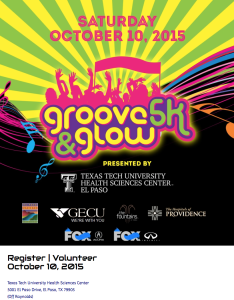 Food, drinks, face painting, glow stations and music will make for a groovy night!